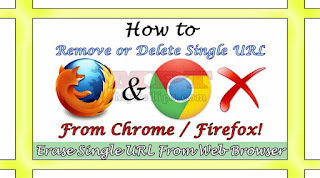 In this post you will learn about removing, deleting or erasing a specific visited URL from Web Browsers. Generally everyone knows that how to clean the history of any Web Browsers and by doing this It will clean up entire history if beginning selected. 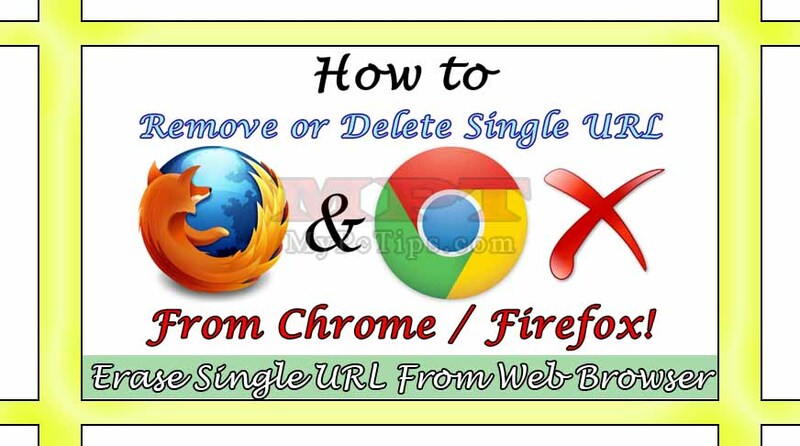 But this article will guide you to remove a single specific URL from world most popular web browsers, Google Chrome and Mozilla Firefox. By reading this entire post you will quickly understand how to do so without any concept or skill. You can rapidly remove URLs one by one as per your choice to get them vanished from Web Browser which means that will no longer will be shown your history or suggested website URL. Open "CHROME" OR "FIREFOX" Web Browser. Now type "WEBSITE URL" in URL Bar which you want to erase. When you see that website, just highlight it by using "DOWN ARROW" key or mouse-over it. Using keyboard Press "SHIFT + DELETE" keys. Watch below Video Tutorial for avoiding any confusion.